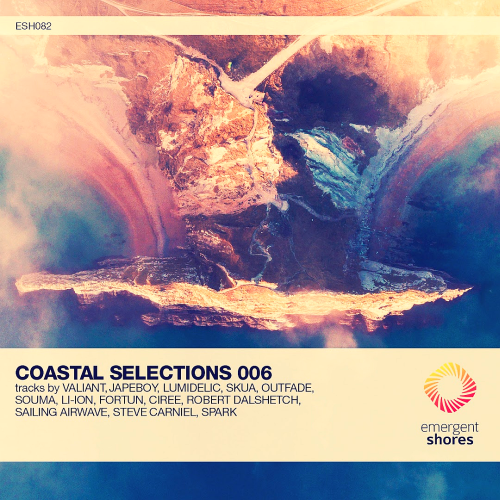 Date: 22.03.2018 | House, Trance, News | Tags: Coastal Selections, Emergent Shores, Outfade, Robert Dalshetch, Steve Carniel, Valiant, Japeboy, Sunset Moments | Download Coastal Selections 006 (2018) for free. Marking our 6th installment to the Coastal Selections series, we are truly proud to present this new batch of freshly baked and piping hot progressive selections, courtesy of some returning label veterans. As with each installment to this series, we are always pleased to create a diverse collection of tracks from an equally diverse collection of artists. So, for this new compilation we are truly pleased to welcome back Emergent Music veterans Valiant, Lumidelic and Skua, as well as welcome back returning acts Ciree, Sailing Airwave and Steve Carniel. Last but certainly not least, we are truly pleased to welcome some strong new names to the label, which includes the likes of rising progressive stars Japeboy, Robert Dalshetch and SpArk, making this yet another solid collection of new and known talent to the label.